I want these pitchers from Fishs Eddy. Sounds good? Okay, cool. 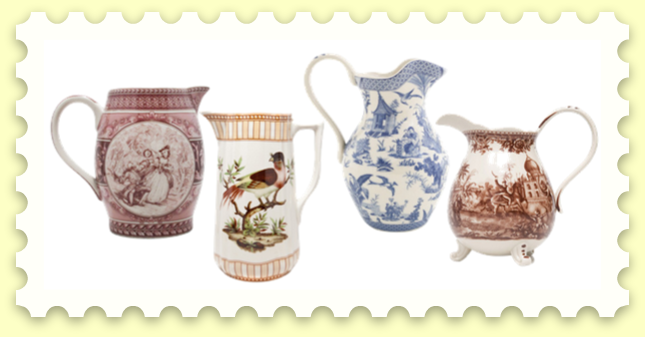 Toile Blue Willow Pitcher 7", Toile Rose Courtship Creamer, Toile Brown Pitcher, Birds Pticher 8"